The cranberries on the tundra were brilliant red. The berry at the top has a water droplet with reflections in it including the photographer. 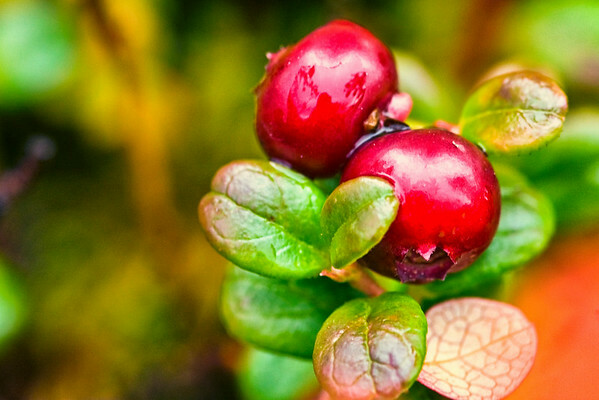 These low bush cranberries are also known as lingon berries which often complement Swedish pancakes.